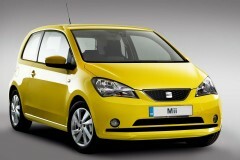 The Seat Mii is one of the most surprising cars available today and in a good way. This wolf in sheep’s clothing may look like a normal city car on the outside but has much more going for it in all departments. Firstly, the Seat Mii is a very inexpensive which translates into low monthly lease costs so you can spend your money on other things rather than from going from A to B. 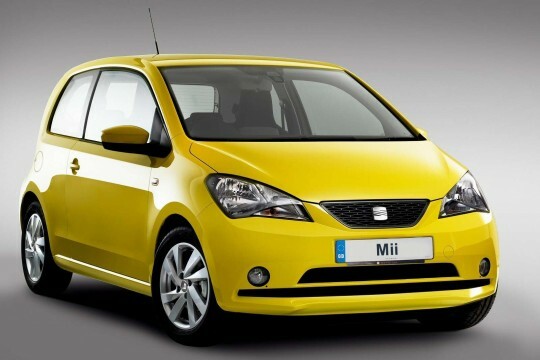 But inexpensive often means sparse…not in the case of the Seat Mii! It comes standard with Sat Nav, Bluetooth, an infotainment system, alloy wheels and aircon. The infotainment system is ingenious. It combines a Seat DriveMii app (for either android or ios) and this links to the infotainment system to enable a whole raft of features such as Bluetooth Audio streaming, integrated GPS and handwritten search. Inexpensive also often means safety features are not high on the agenda, but the Spanish car-maker has ensured ensures that with this model you get Electronic Stability Control (which monitors your steering, wheels, brakes and acceleration) which in combination with ABS brakes means a safer ride and the ability to stop quickly when you and your family need it. The Mii also comes standard with Hill Hold Control. Trim and engine choice is refreshingly straightforward, two trims – either Design or FR-Line and two engines which are both 1.0-litre petrol but come in two power outputs. At Hippo Leasing we have lots of time for vehicles that over deliver, just like our knowledgeable and helpful account managers. Call us today on 01254 956 666 or email info@hippoleasing.co.uk.